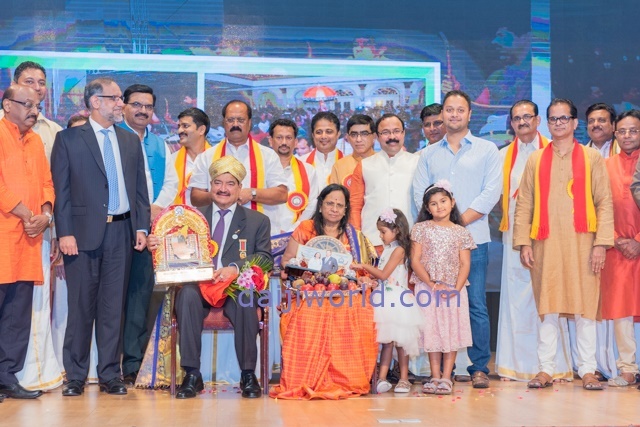 Dr. B. R. Shetty was honoured with the title of ‘Karnataka Ratna’ on behalf of Abu Dhabi Karnataka Sangha and all Kannadigas of UAE. 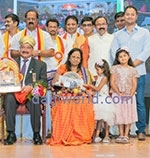 Dr. Shetty was conferred this award at the Abu Dhabi Karnataka Sangha’s 63rd Karnataka Rajyotsava Celebrations held at the Indian Social Centre, Abu Dhabi on Friday, November 2, 2018. Speaking on the occasion Navdeep Suri said, "I am an ambassador appointed by government of India. But Dr Shetty is an ambassador appointed and honoured by the people. His life is an inspiration for all of us. The land of Karnataka has created a lot of talents and visionaries like Dr B R Shetty. Hence, there is some speciality in the soil of Karnataka. People from here are gifted”.